Clear away the grey and bring smiles of delight wherever you go with this great Rainbow Hat! 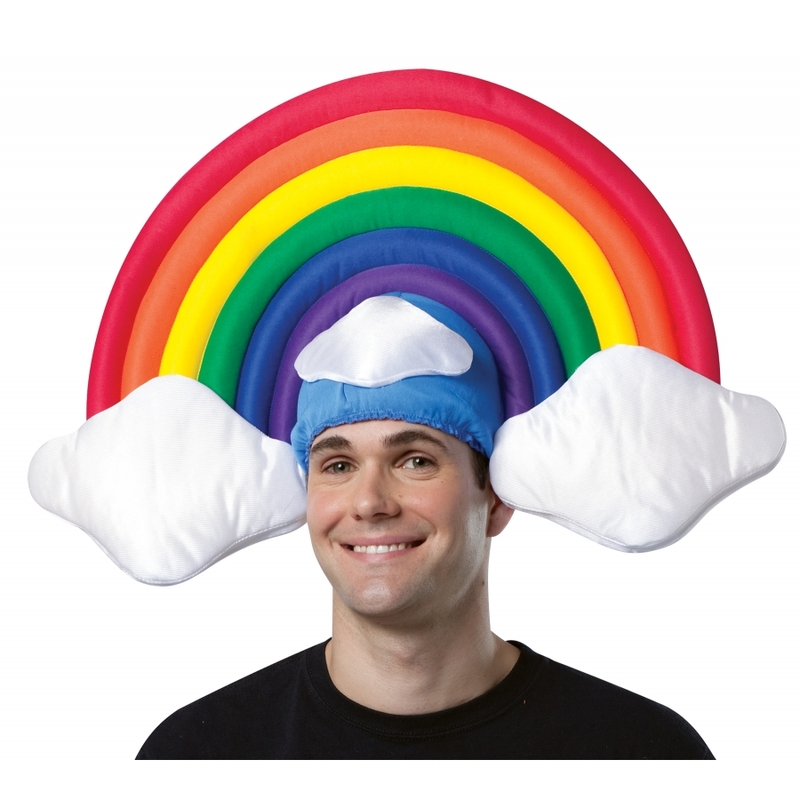 See the familiar colors of the rainbow in a soft stuffed hat with the white clouds at either end at the ear level. The sky blue headpiece has elastic for a secure fit. One size fits most.